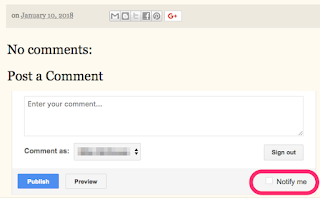 Comments are now allowed on all our articles if you have a Google/Gmail account. Your comments are welcome and encouraged to comment within the spirit of OneHeadlineADay.com -- See our About Us page. Scroll to the bottom of any post, and look for the "Post a comment" section. If there are other comments, it will be after all other comments. NOTE: You must be viewing the actual post -- full article URL.If you are on the Home page, you can still click the "No comments" link shown below to open the comments window. 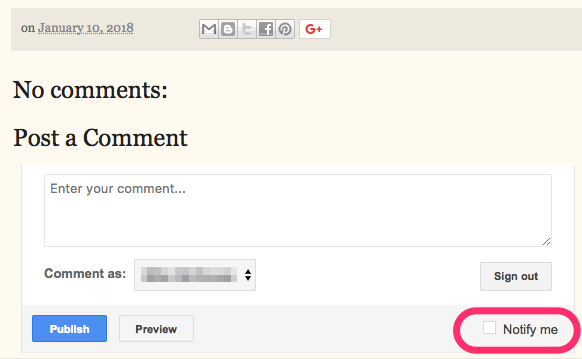 You may receive e-mail notifications of other comments by selecting "Notify Me" checkbox in the first screenshot above.